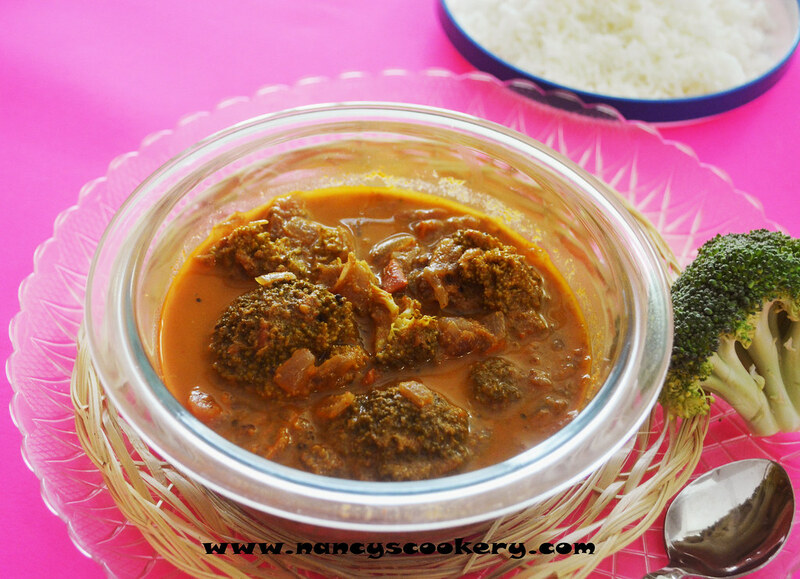 The broccoli curry recipe is tasty when prepared in this method rather than preparing it with garam masala or whole spices. The curry is really tasty. 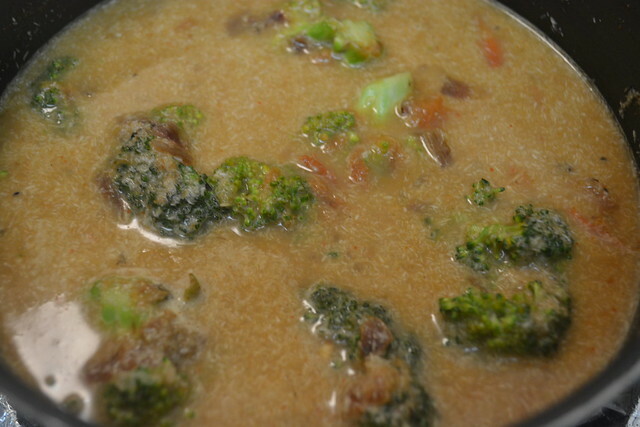 Broccoli gives a super taste to the curry. 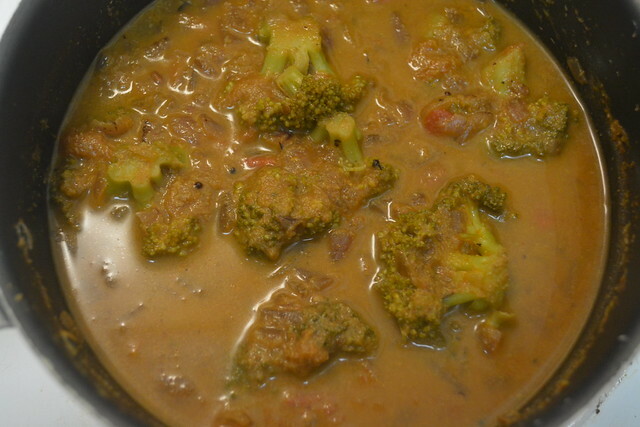 The broccoli curry is so delicious that I have made it in my routine cooking recipes. I hope you sure will give it a try too. 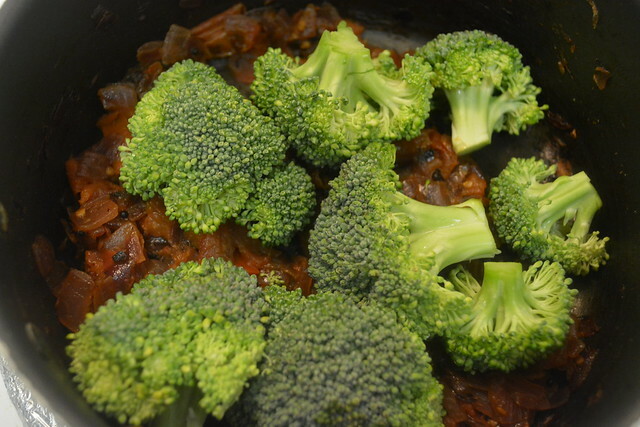 Broccoli is good for health like other vegetables. 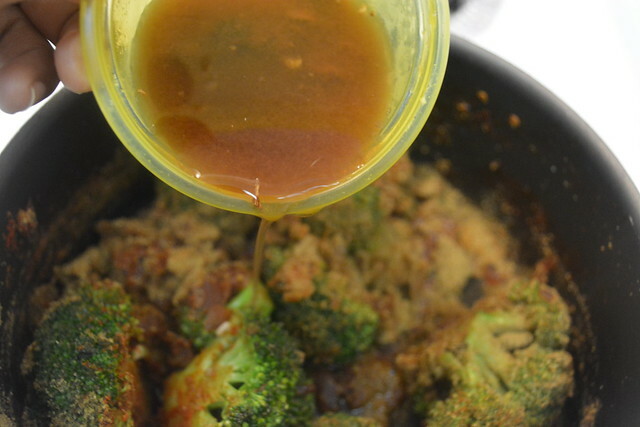 Broccoli contains dietary fiber, minerals, vitamins, and anti-oxidants. When we come to the selection of broccoli, choose fresh, bright, compact and firm textured. Avoid broccoli with overmature florets having yellow flower buds. 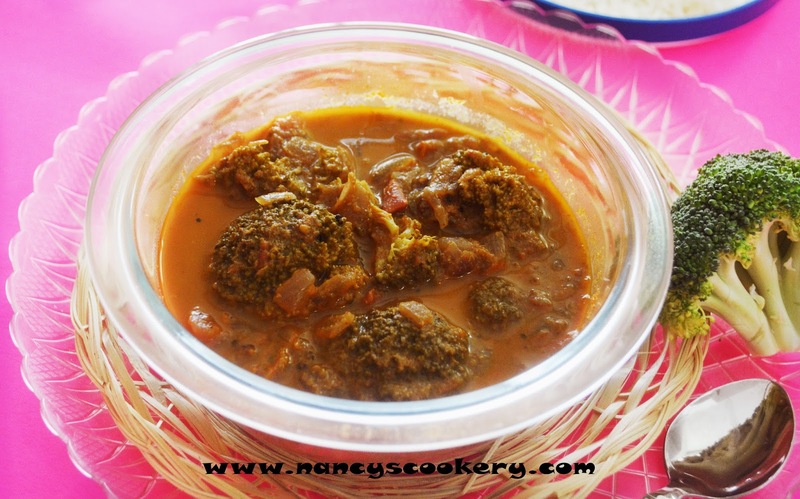 Coriander powder - 2 to 3 tbsp. Turmeric Powder - 1/4 tbsp. 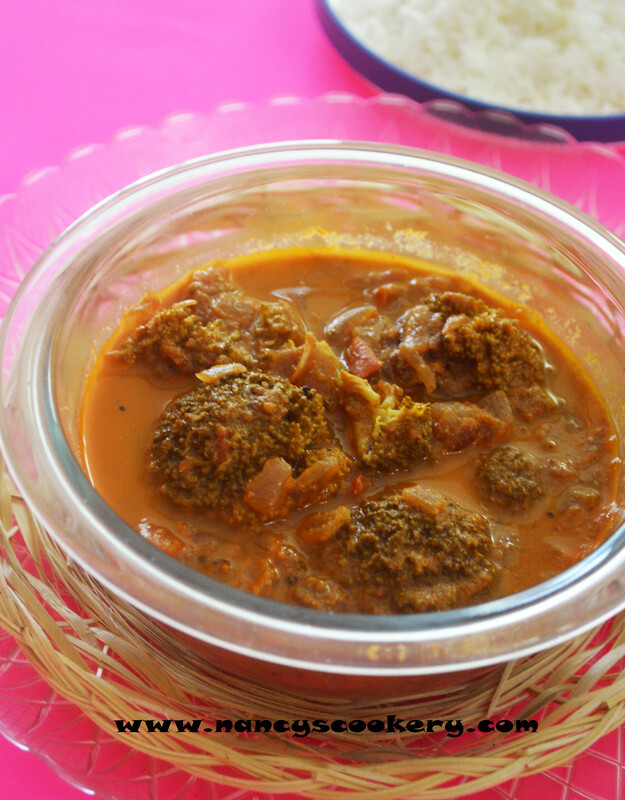 Urad Dhal - 1/4 tsp. 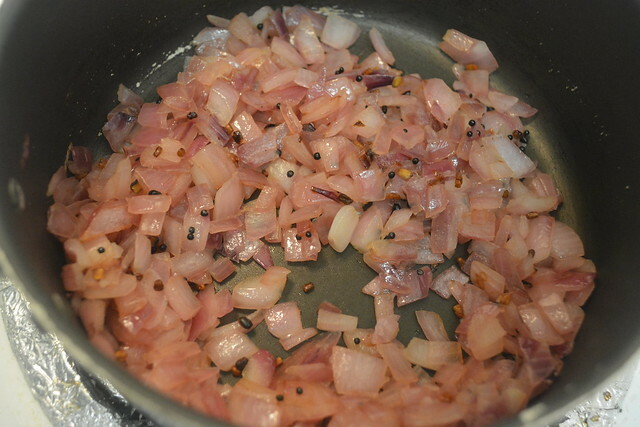 Heat oil in a pan and add mustard seeds and urad dhal. Allow it to splutter and then add onion. 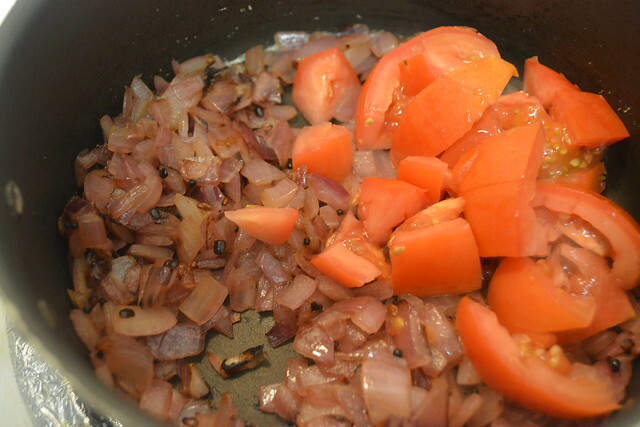 When the onion becomes translucent, add tomato. 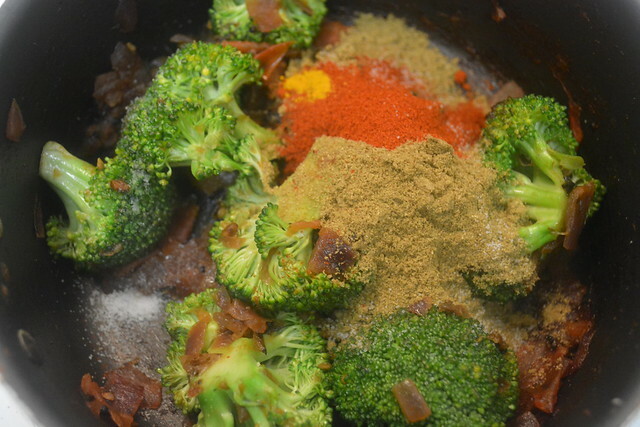 When the tomato is fully smashed, add chopped broccoli florets. 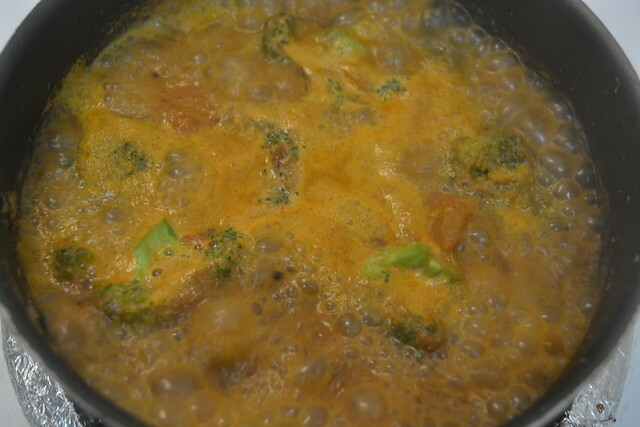 Stir it well and then add Coriander powder, turmeric Powder, chilly powder and salt. 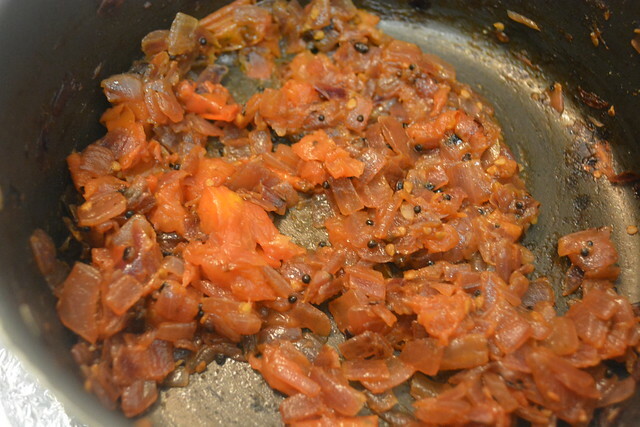 Mix them well and add the extracted tamarind juice. 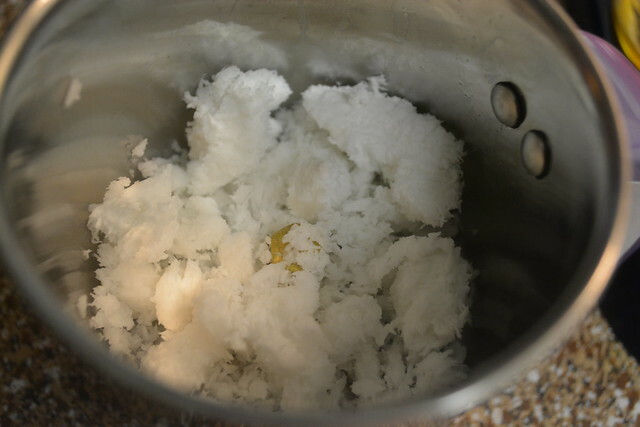 Now put the coconut in mixer and grind it smooth by adding little water. 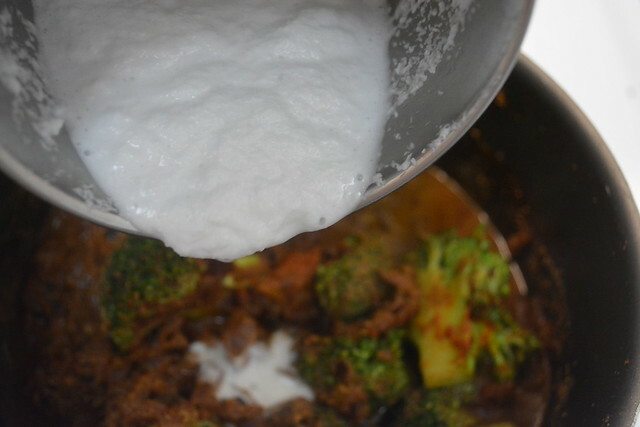 Now add the ground coconut paste to the curry mixture in the pan. Add some to the curry to your required consistency. 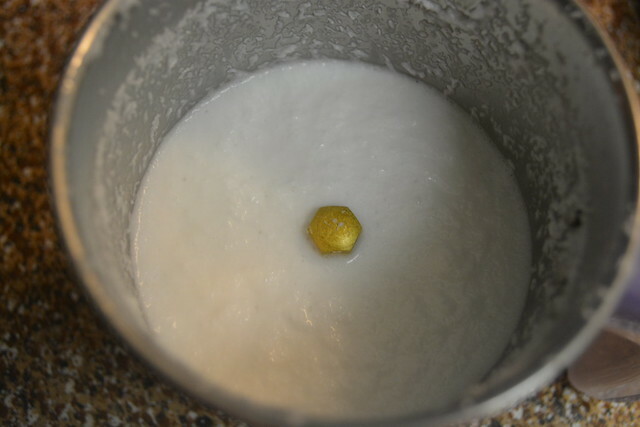 Allow the curry mixture to boil well an when the curry is completely boiled and the curry reaches the desired consistency, switch off the flame. nowadays. 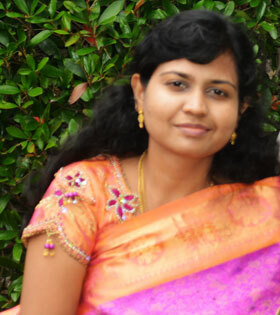 I really appreciate individuals like you! Take care! !